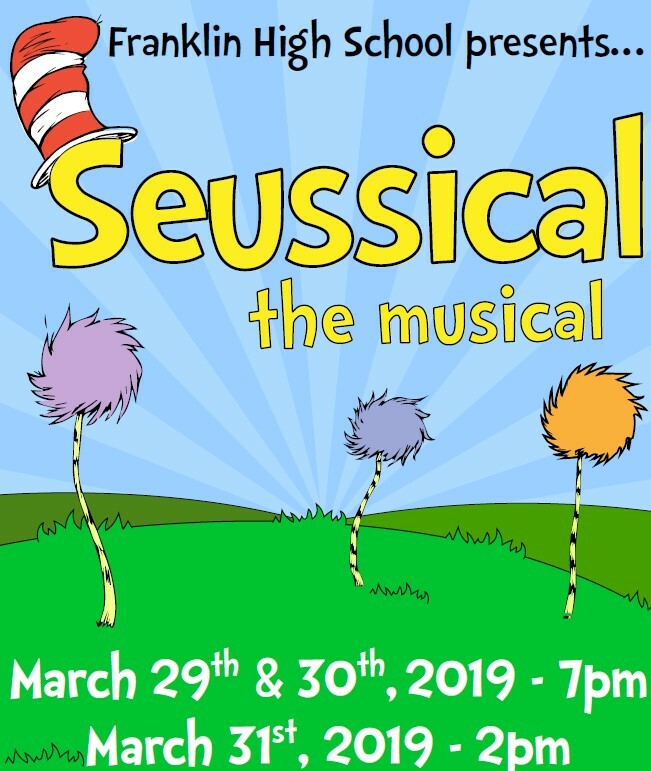 Franklin High School presents Seussical the musical. 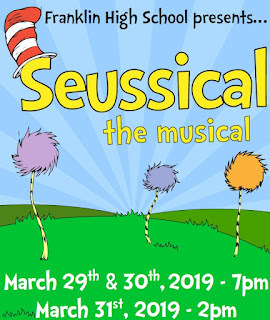 Performances are scheduled for Friday, Mar 29 at 7:00 PM; Saturday, Mar 30 at 7:00 PM, and Sunday, Mar 31 at 2:00 PM. Tickets are $15 and can be purchased at the door.